If there’s anything worse than staying somewhere with bed bugs, it is accidentally bringing bed bugs into your very home. 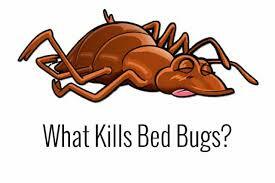 Bed bugs are little insect parasites that feed on blood as you sleep. While they have not been known to carry dangerous bacteria or viruses, they have been known to produce medical symptoms such as skin rashes and even allergic reactions. These parasites are known to hang around upholstered furniture such as beds and couches and unfortunately, they can be transferred from one place to another through someone’s luggage. Here are ways to make sure your luggage is free from these bloodsucking parasites. To make sure your luggage is free of bed bugs, you have to thoroughly inspect it before travelling to ensure that bed bugs will not be transmitted from one place to another. 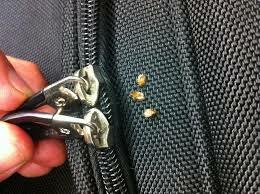 Here are several ways to inspect your luggage of these parasitic insects. 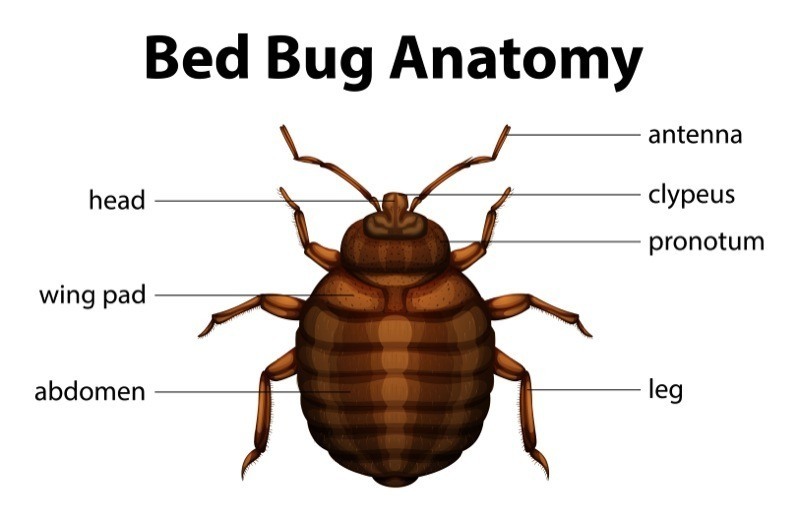 Bed bugs undergo their life cycle in three major phases: egg, baby bed bug and adult bed bug. The egg will look like a tiny piece of rice or salt. It will be about 1 millimeter in size and its color will range from a milky white to a translucent color. These eggs will then resemble a deflated balloon when they hatch and the color will look dried out. Once they hatch after 6-10 days, the baby bed bugs will be tiny insects with a wide abdomen, a small head and six legs. They will be about 1 millimeter in size as well and their color will be pale. If they have just been feeding, then they will be blood red. After successive molting stages, the adult bed bug will basically look like the baby, but bigger and darker in color. Knowing what bed bugs look like throughout their life cycle will be the first weapon you will have to inspect their presence. Now that you know what bed bugs look like, you can begin your inspection. While they are incredibly tiny, they are still visible to the naked eye. However, a magnifying glass will surely help the search. If you are inspecting your luggage, then there are a few tips you have to consider. Firstly, inspect your luggage before you enter your hotel room. This is to make sure that if you do find bed bugs, then they aren’t anywhere near the bed in the first place. 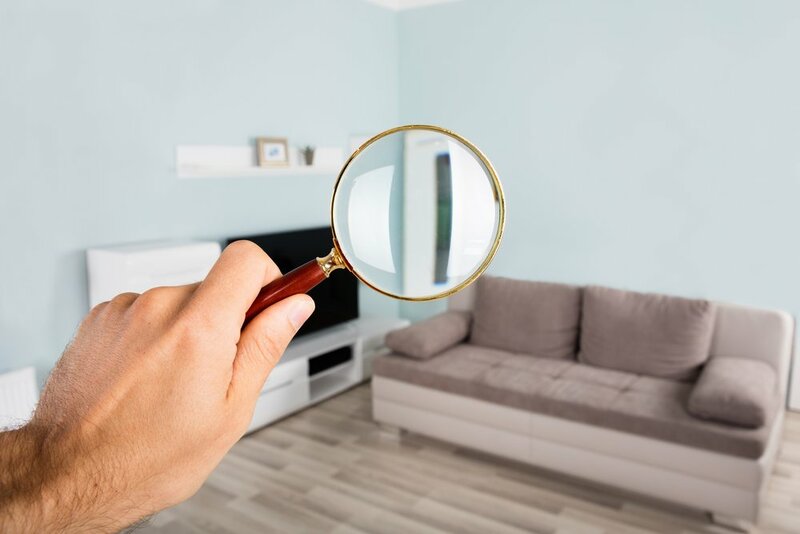 Upon arriving home, keep the luggage outside or in the garage first and inspect them again there to make sure you aren’t bringing any bed bugs inside your house. If you’ve inspected your luggage to be free of bed bugs, then you need to follow these next steps to keep it that way. One of the safest ways of ensuring that your luggage won’t get any bed bugs is by making sure the room itself is free from the parasites. To inspect the room, it is best to wear rubber gloves and arm yourself with a flashlight to aid you in your search. Check nooks and crannies near or on the bed and if you must, get on all fours and check underneath the bed as well. These are also other signs to check for the presence of bed bugs. Dark stains on the fabric of the mattress can also be an indication of bed bugs. Bed bugs notoriously defecate immediately during feeding, leaving these marks resembling felt tip marker stains. Blood smears on the bed sheet in the morning are also signs of bed bugs, as these are the results of crushed bed bugs in the night as you may have moved about in your sleep. 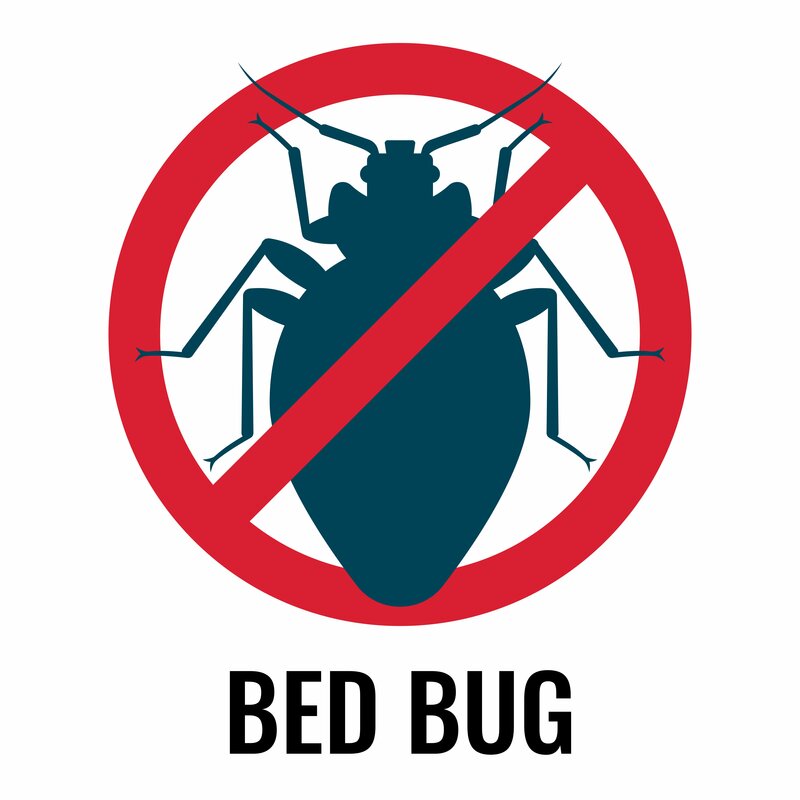 Another way to check for bed bugs is to lift the mattress during the day. Bed bugs are known to be most active during the night when they feed, so they hide during the day. If there are any bed bugs hiding, you will be able to see a number of them scurrying away immediately after you lift the mattress from off the bed. Bed bugs primarily travel on the floor, so it’s best to keep your luggage away from it. This is the very reason why most hotels offer luggage stands in their rooms to lessen the chance of bed bugs spreading. In addition to that, it is also not recommended to store your luggage underneath the bed, as this is commonly where bed bugs hide during the day. 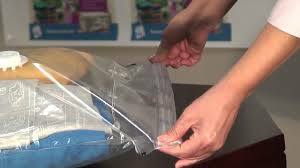 Another way to prevent bed bugs from being transmitted is by placing your clothes in sealable bags. It is wise to bring extra so that you can have separate plastic bags for used and unused clothing. When moving about in your car, it is recommended that you store your luggage inside sealed garbage bags. Regardless if you put the luggage in the trunk or in the backseat, storing them in garbage bags will help prevent bed bugs from getting on your luggage. An easy way to see bed bugs is to use the contrast of their color against a white hard floor. Make sure the floor is light colored and not carpeted, then proceed to unpack your luggage from there. While many methods have already been mentioned, there’s no such thing as being too prepared and protected when it comes to bed bugs. Another form of measure you can do to make sure your luggage is free from bed bugs would be to use luggage spray. Applying a nice, even coat of luggage spray on your bags will kill insects that come into contact with them. Instruction-wise, it is recommended to treat the bags a day before use and in a well-ventilated area such as an open garage. When choosing a luggage spray, make sure you get one that is water-based so that it will be easy to clean and take off the luggage, as opposed to oil-based products. If you’ve just come home from traveling and you suspect a possible bed bug infestation in your luggage, the first thing you need to do is take out all the items from your suitcase. By separating contents and container, you can deal more effectively with each. This should be done on a surface that isn’t carpeted and preferably wet. You can pass a washcloth over the surface before placing your suitcase on it. This makes it harder for the bugs to scurry away from the scene of the crime. Now, let’s focus on the suitcase itself. One of the most effective ways to get rid of bed bugs is to vacuum. However, you’re probably going to have to vacuum a few different times if you want to be absolutely sure the bed bugs are gone. Sometimes, bed bugs are especially good at clinging to lining or folds inside the suitcase. To prevent them from doing so, you can also steam the inside and outside of the luggage. The heat and moisture will make it impossible for them to cling on. After you’ve steamed and vacuumed thoroughly, you need to wrap up the vacuum bag in a plastic liner bag and throw it out immediately. This is to prevent any lingering bugs or eggs from prevailing against your efforts. Finally, your luggage is going to need to be exposed to the heat of the sun for at least a full day, maybe more depending on how hot it is outside. For added efficiency, you can place the suitcase in a tightly sealed plastic bag while you do this. The temperature inside the plastic will rise higher than if left uncovered in the daylight. Among the items you took out from your suitcase, everything that can be put into a washing machine should be put there. Place all of the objects into plastic liner bags and take them for a spin at the highest possible temperature (120 degrees and higher if possible). Bed bugs and their eggs are sensitive to heat, so turning up the dial is one of the best ways to get rid of them for good. You can vacuum all these items once they’re done being cleaned to clear up any dead bed bugs. Of course, there are some items that cannot be washed for a variety of reasons, mostly due to their material. However, there is a way to de-bug the non-washables. These should be either frozen or subject to high temperatures. If putting in the freezer, make sure the items are left there for a minimum of five days at -5°C or lower. This will make sure no survivors are left behind. Belongings that can be heated up should be, preferably at no less than 45°. These too can be vacuumed at the end of the process to remove carcasses and residue. There’s many bed bug sprays available on the market today, but they can get expensive and some of them are really toxic. If you don’t want to purchase or use a spray, you can make effective sprays at home by using ammonia, water, or alcohol. 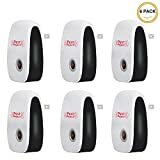 By making blends from these compounds (the alcohol and ammonia mix being extra potent) and spraying them all over your suitcase or belongings, you can increase your bed bug killing edge. After using the ammonia-spray, you can vacuum or steam your belongings to finish the job. However, do be careful. 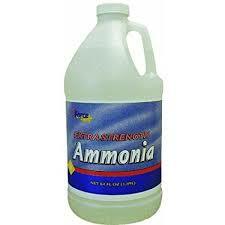 Even though ammonia is less potent than many bed bug sprays on the market, it is still quite a corrosive substance. That is why you need to make sure that you keep it away from your mouth and eyes and avoid even getting it on your hands. Unfortunately, ammonia won’t work on all species of bed bugs. There are many different types of this insect, so don’t be disappointed if it doesn’t work – you may need to try out other sprays or methods. If you’re looking for effective and hassle-free solutions to a potential bed bug problem, there’s specific types of luggage that provide effective measures to kill the bugs. There’s some types of suitcases that have built-in technology that produces heat to a temperature that is lethal for bed bugs, both the adults and their eggs. On returning from a trip, you can plug one of these thermal suitcases into an outlet without opening it. As a result, your home won’t get exposed to the insects and they will be trapped inside the luggage. This saves you the trouble of having to meticulously go through all of your belongings to wash, freeze and heat them up one by one. By using special infrared panels, the inside of the suitcase will reach temperatures of over 49° Celsius and remain there for a few hours. The amount of time can be set manually, from just two to about eight, with the recommended number being the latter. These suitcases are designed to protect the belongings contained in them, although you might want to avoid packing heat-sensitive garments or objects if you’re planning on using this method. Once the bugs have baked for a few hours, you can go through your suitcase and vacuum everything to get rid of the lingering evidence of bugs. Bed bugs can be a really pesky and persistent problem for many households. As if homegrown bug infestations weren’t bad enough, you now have to worry about what happens during vacations. The increasing ease and affordability of travel means that there’s a lot more chances for these critters to get around. Infestations are now more common than they used to be, even in places where you’d hardly suspect. However, there are ways to prevent your return home from becoming a bug-hunting nightmare. Follow these tips if you have any suspicions about your luggage containing bed bugs and you should be back to normal living in no time.